No one would ever argue the merits of smart lighting products. It’s awesome to have the ability to control the lighting in your home using voice assistance or the flexibility of smart home systems like SmartThings and Wink. 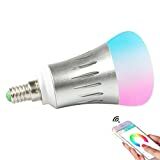 The problem with Wi-Fi connected light bulbs is that they’re expensive, and that keeps a lot of people away. Of course, those people obviously haven’t come across the Element Classic Smart LED Bulb by Sengled. 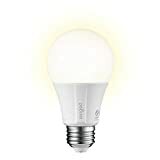 These great bulbs look fantastic, and they work with popular smart home systems as well as Alexa and Google Assistant. They’re just $9.99 on Amazon, and they cost even less than that if you buy a 4-pack or an 8-pack!